This is a post I just couldn't pass up, and you shouldn't either. I am always looking for ways to help other members, clients and friends with challenges they may face in trying to reach their business and personal goals! This post may not do that, but I do feel that if you're in Real Estate and you're a REALTOR®, then this will be useful information for you! I have noticed on many posts, including the title's, where members and writers are not using the preferred method of the word REALTOR®,as expressed by your association. I hope to keep my Blog interesting by bringing you a gamut or information, tools, useful ideas, and tips on how to make your life easier, and your business better. Here's the first one in a series of future posts: In order to properly designate an agent as a REALTOR® member, you must know how to add the registered trade mark™ symbol to the word REALTOR. (BTW - REALTOR is always capitalized) To add the symbol, hold down the "Alt" key on the keyboard while typing 0174 on the number keypad. *** IMPORTANT TIP: Don't use the numbers above the "qwertyuiop" row of letters. If you're using a laptop, hold down the "Alt" and the "fn" (function) key, then press 0174 from the keys displaying numbers the same color as the "fn" key. The result will be: ® There is a complete set of alternative characters like this one built into your computer. To find all the characters in your computer, Click on Start, All Programs, Accessories, System Tools, and Character Map, this will launch a program that will show you each of the symbols and their shortcut keys. For an example, find the character "½" and look to the lower right corner: you'll see that it is made by using Alt 0189. Of course, not all extended characters work in all situations. Experiment to see which make sense for the job at hand. This post is for the few...the proud... the REALTORS®!! Brad thanks for the reminder I am always forgetting the shortcuts for these. I will admit REALTOR® looks better than REALTOR(R). Not to mention the best part that I really hate to admit, I have never used the alt fn with the blue numbers on my laptop as I never figured out how to. THANKS! I knew there was a reason to use AR to more than just promote myself. Odd. I was all excited and tried that (after looking at the character map and confirming) and it gave me J, not the sign I was seeking. Ashley - glad that helps. I too had not been using this option on my laptop. All came about when I needed to have a flyer approved! Man, don't ever do that!! LOL! GEEK SPEAK, but thank you. Realtor ding, ding...I keep getting a ding sound ?? Realtor® OMG- I ever noticed the blue numbers on the lettered keypads...you are so awesome! !!! ® Way Cool!!! Thanks Brad! You have no idea how much this helps....I must have sat at my computer for ten minutes the other day and could not figure this out. Kudos! ®- Thanks, I did it! Great help! David - you'd be surprised!! 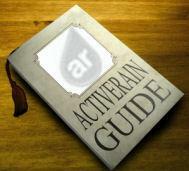 :-) Active Rain is "The Rain" Read the book The Rainmaker! You'll love it! Tricia - not sure what it is, but if you select the character map, pick the symbol you want, it will tell you in the lower right corner what the shortcut key is. If you don't get it to work, come back and let me know. Melissa - thanks for the bookmark, if we add up all the seconds Realtors can save by NOT having to search for these symbols, it would be huge!! Brad - none of the links I'd checked out before made any sense for using the Alt keys on a notebook computer. Thanks for the tip. Hope you don't mind, but I went back to my January post on the various uses of the Alt key and added a link to this post to save notebook users some grief. I have been waiting for this on my blogs..thanks! Brad, We are alike, that's the reason that I like you, keep the good blog, I answered in the other blog how was the stuff in the UFC, I meant on one of my blogs where you asked. Brad...I just saved one of the REALTOR links. Tomorrow I'll go copy the symbols into my graphics folder! It's 11:30 PM and I'll NEVER remember all of that! Great idea for a post...and appreciated! Thanks for another very informative post. Now for the next lesson-how about how to pronounce REALTOR®? Michelle - Ding Ding...that's funny...sorry! Glad you got it, you're welcome! Rebecca - one a day, that's all I ask! :-) Nice to learn a new trick once in a while, great job! Stacie - that's 10 minutes you shouldn't have to waste, that's what my posts are really all about, and your comment is exactly why I keep posting this stuff. The kudos really go to you for finding this post! Thanks! Cheri' - no excuses now, we'll be looking for it on all you posts!! LOL :-) Thanks for the comment. Neal - you are definately the ®eal Deal! :-) Thanks for commenting! Missy, if you do forget, just bookmark this post and you can come back, say hi, have a cup o java, and cut & paste it from here, or get the Alt code again. The point is, I like when you come around and leave such nice comments! Ravi - did you not believe me? LOL! Glad it works for you my friend! It should work for every computer user. Ray - I'll come check out your UFC response after I finish here and upload my next post. Thanks! Marlene - It's funny you asked that, and I am glad you did! The proper way to pronounce REALTOR®, is like this: Dictionary.com Unabridged (v 1.1) - Cite This Source Re·al·tor /ˈri əl tər, -ˌtɔr, ˈril-/ Pronunciation Key - Show Spelled Pronunciation[ree-uh l-ter, -tawr, reel-] Pronunciation Key - Show IPA Pronunciation Trademark. a person who works in the real-estate business and is a member of the National Association of Real Estate Boards, or one of its constituent boards, and abides by its Code of Ethics. That was neat...in Hawaii we use Realtor-Associate® , and REALTOR® for Brokers and both who are members of the NAR and local boards. ® WooHoo! Can anyone use © for their posts? Thesa - check out some of the links in the post above, they'll explain why they don't want (R)ealtors to do that. There's some great info at those links. Sally - thanks...I mean mahalo! :-) I see you tried the copyright, now let's see if you can do the Trade Mark symbol, that will be the true test! Thanks for your comment. Proud REALTOR® who sometimes slips and adds an extra vowel. Hi Brad, thanks for the tips. I usually end up having to copy those symbols from somewhere else...and yes I have also not used them on some occasions! Bad bad bad, I know. Hi Becky - thanks for the bookmark, glad this helps you. You're not bad bad bad, how can you be for something you may not know. I don't think many of the members knew this based on some of the posts and even the Profiles I have seen. Enjoy your day, and thanks for your comment! This comments imagegot toasted, had to remove it. Sorry. Bud - nice to see you back!! I'm glad you liked this post. It seems like such a small thing, but in the eyes of the NAR, REALTOR®, and the logo, these are important things for Agents to know. I have many friends in this business that I felt this would help, I too get the question often. Thanks Bud! Brad - Good post. I typically edit my blogs in MS Word and there I can hold down the CONTROL & ALT with the R to get the ® and it does cut and paste as in this example - REALTOR®. However, I noticed it does not work in the AR editor which I typically use for my comments like this one. Here is a tip you might want to work it - you notice how many blogs and comments have too much space between paragraphs and lines. This can be avoided by hitting the RETURN Key with the SHIFT KEY and you can have a Sig file that is laid out like mine is and not have the extra space between the lines. PS - Brad, you were going to call me after my company left Tuesday morning - any time is good for me now. This was very helpful Brad, I've bookmarked it. I often resort to the term real estate agent because I have'nt known how to create the trademark symbol. Another 5 you get. Knew key commands for all of this on a mac, but have not known this until now. Very helpful. Have you seen the mac/pc video on Laurie Manny's blog today? Awesome post. I've been a REALTOR® for a while now, but have never heard of that shortcut. Thank you. Really, thanks for sharing this tip! This is great! I have already been using the term, "Realtor®" from since I joined a local board. I know I've been diligent doing this. However the way I would do it is the long way, which is to go to the Realtor® site, type in "logo" on the search bar, scroll all the way down till I could copy the word Realtor® and then paste it. Thanks for the short cut! Such a time-saver! Emilie - this will save you lot's of time and keep you from procrastinating every time you need to use the word REALTOR®! So happy that you found this post, if you were the only one that this post helped, it would all have been worth the time and effort. Thank you sincerely! Gee, thanks for this, Brad ! I knew about the © symbol being necessary, however I did not realize the letters all had to be capitalized. Busy now making a bunch of corrections where-ever I have used that term . Your blog is always so helpful and uplifting, it truly is a bright spot to come to ~ just like you ! Jo-Anne - you always leave the nicest comments, I bet you have buyers and sellers coming out your ears, ringing your phone off the hook, banging down your door, bombarding your office, emailing you daily, and writing you letters trying to get you to help them buy and sell their homes!!!! Remember the ®eal symbol in REALTOR®, is not the ®, the ®eal symbol is YOU!! Well learn something everyday. Thank you I am bookmarking this post! I didn't know how fortunate I am to join AR and learned all of this things. I will bookmark this post and thanks again. Tried to do it with MAC but no success. Anybody who knows how to do it in MAC, I would appreciate the help. Thanks. So that's how it's done. I asked a blogger in the comments section of a post when I first joined AR, but he never got back to me. I sort of gave up on ever learning how to do it. Thanks so much for taking the time to set us straight. Yes, I want to use the REALTOR® designation correctly. Oh joy, look...it worked. Teresita - I wish my 20 year old "MAC expert" were here, I'd put him on the blog, he's preparing for Cal Poly this week! (Gonna miss that boy) :-( So here is what I did, I went in to google and did a search for "How do I find the symbol ® on a MAC" and it gave me back this! I hope this helps you and all the other REALTORS® using MAC! Fran - you're too cute...of course it worked!! LOL! Sorry bout that initial blogger who didn't get back to you, I would never do that, not on purpose at least! Enjoy!! Another Brad helpful hint! You are full of it! Good stuff, that is. Keep 'im coming, I'm a sponge. Thank you. Top of the mornin to ya Cynthia - Sponge? Do you have a husband named Bob? (hehehe) Sorry, that was my feeble attempt at making a wise-crack, probably too early for that though! LOL! Glad you're finding these posts to be useful! Hope you have another great day! Great post, I don't think many REALTORs knew this. I hate to admit ignorance on this subject, but I didn't know REALTOR was all capitalized. Thank you Brad! Brad, Thanks for the tips and information. This is great stuff to know! Brad, Thanks for the advice. It still doesn't work. I changed the settings and used the right numbers (not the numbers at the top). I have just decided to copy what I want from my character map so that I can paste them when I need them. I tried all the characters you mentioned in your post and ½ is the only one that works. Weird, huh? Thanks for the advice. I was just looking this up today on Google...how to create the little trademark symbol. I wanted to order a rubber stamp (free from Vistaprint) that says REALTOR® so I can stamp some postcards that I'd ordered before getting my license. Keep the posts coming...there's SO MUCH I need to learn!! Guilty ... thanks for the reminder and the solution. Sue - the stamp is a great idea, and while on the computer, hopefully this ALT code will help you too. Thanks!! Larry - since you plead guilty, we're going to let you off this time, and just put you on probation for 90 days. That just means you have to provide excellent community consumer service in your area!! LOL! Thanks for stoppin by, always appreciate the comments! Brad, Sure. hop on a plane and come out to the beach. I'll even let you have free room and board in exchange for some AR, search engine, and computer advice! Brad- The offer still stands! I am able to get it done now in documents, just not in the AR editor. So at least I can do it in a document, then copy and paste it! Thanks again. REALTOR® Ok...it's working again. Make sure that you have the NUM LOCK On, or you will loose your post, your comment, or anything else you are working on in Active Rain. Let me know if that works for you David and Kristin. Thanks!! Oh my - I was thinking the same about you - we see each other so rarely - I miss it and it's hard to believe it was just a few months ago - I think we both suffer from mentoring all the people we're brought into the rain - I'm at 144 and it's a job in itself at times - not complaining because I love helping - but somedays it seems like I just run out of time (like it's 1:10am here now LOL)! I think nothing but great things where YOU'RE concerned - wish you were here so you could be my escrow guy - by the way did you see my post on Celebrations vs Closings - I think it would resonate with you!!! Cyndee - I'd happily be your escrow guy!! In fact, I am your escrow guy! :-) I will always refer clients interested in coming to Clearwater Florida to you. I could always arrange to work with you on a local level through my office in Clearwater. I know with one call, I could make sure you and your clients are well taken care of. I have two offices there if you ever need anything at all. Seriously, I would be honored to help you out any way I can. Here's Christina and Pamela's info just in case. If you ever need my help with anything, just call, my door's always open to you. I'll head over and check out your post for some resonation right now...LOL!